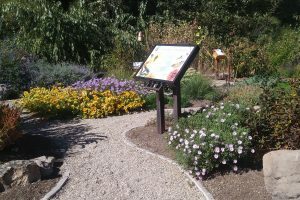 If you have a moment, stop by the Garden City Library and check out the beautiful Pollinator Garden right next to the library. It was lovely last May when we celebrated its grand opening. And it is still beautiful now, at the tail end of summer. Creator Judy Snow has done a marvelous job of attracting all kinds of bees, bugs and hummingbirds by providing the food they need over a long growing season. It is an inspiration! Draggin’ Wing will open for fall planting September 5 and be open for the whole month Wednesday-Saturday 10-5. Fall is the best!